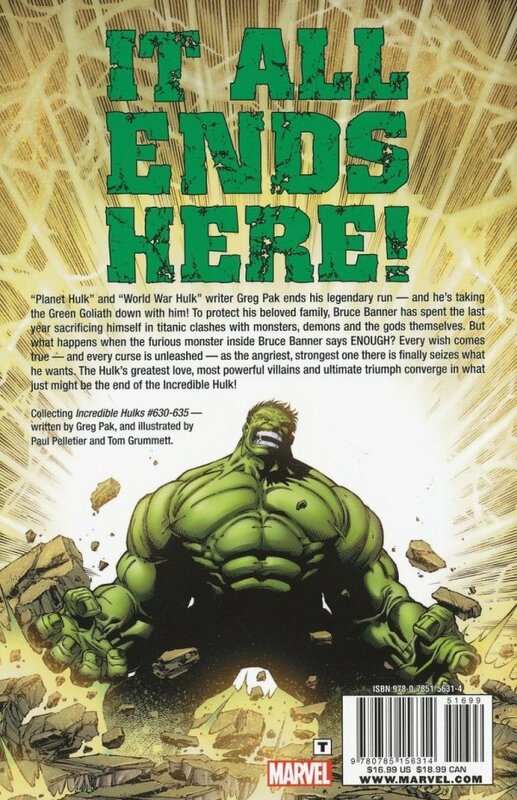 PLANET HULK and WORLD WAR HULK writer Greg Pak ends his legendary run - and he's taking the Green Goliath down with him! To protect his beloved family, Bruce Banner has spent the last year sacrificing himself in titanic clashes with monsters, demons and the gods themselves. But what happens when the furious monster inside him says ENOUGH? Every wish comes true - and every curse is unleashed - as the angriest, strongest one there is finally seizes what HE wants. The Hulk's greatest love, most powerful villains and ultimate triumph converge - in what just might be the end of the Incredible Hulk. 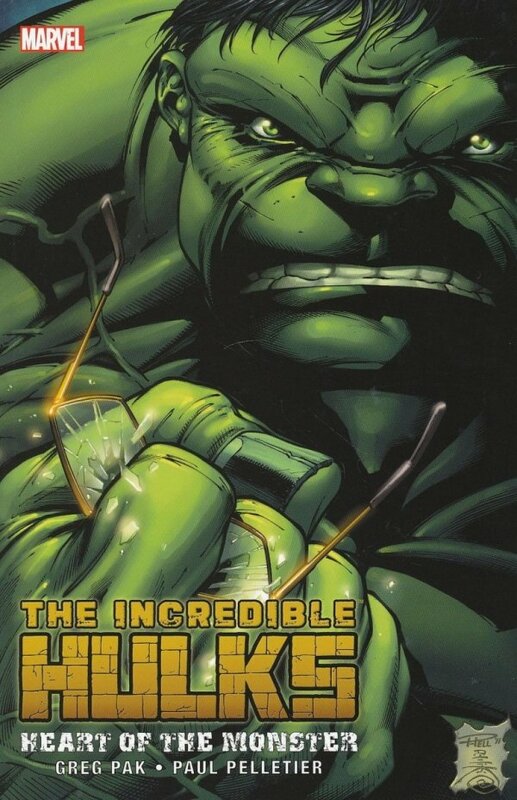 Collecting INCREDIBLE HULKS #630-635.